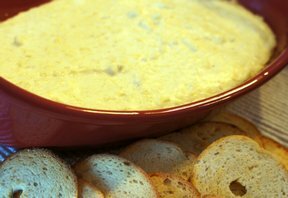 Creamy artichoke dip that is the easist dip to make. 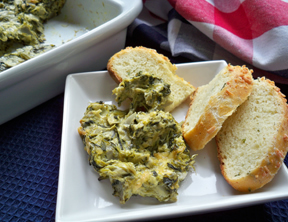 Just throw everything in the food processor and give it a whirl. 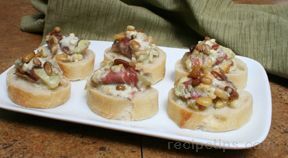 Pita chips are great with this appetizer. Place all ingredients in food processor and puree until smooth. Place in 9-inch pie plate or decorative serving dish. Bake for 30-40 minutes or until lightly brown on top. 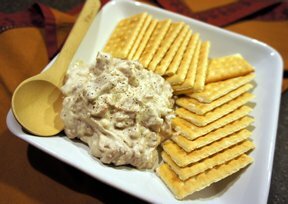 Serve with bread, crackers, or tortilla chips. "Good appetizer. Worked well since I could make it in advance and just bake it up when I needed it. Next time I might try putting some spinach in with it."